Panasonic — the brand name itself is enough to inspire trust among consumers. Being a Japanese company founded in 2018, the electronics giant has earned accolades from around the world for their TVs, Refrigerators, ACs and so much more. But what about massage chairs? Have they been able to be successful in this front as well? I set out to answer that question by testing close to ten products but found only three among them lived up to the advertised standards. However, before you spend your hard-earned cash on any of their top-of-the-line products, take some time out to read my review. 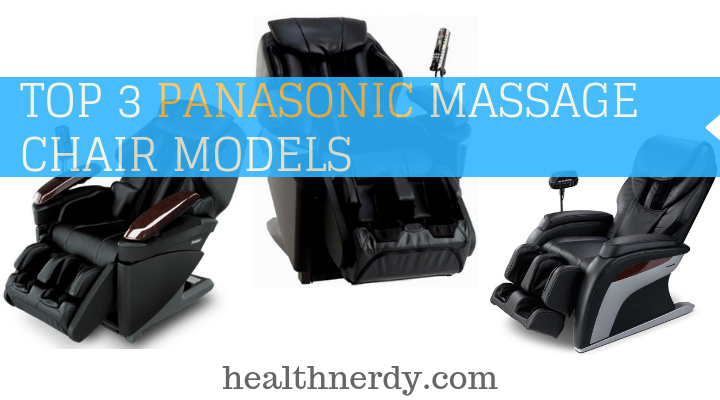 Today, I’m going to be reviewing three of my top choices in the Panasonic massage chair lineup and compare them to my favorite models from other brands. Who will win? Read on to find out! My first choice is the EP MA70 from Panasonic, which scores well on both comfort and design. 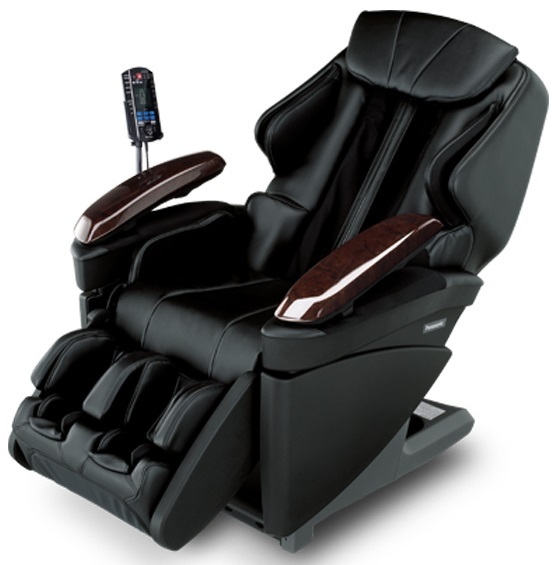 It also offers quite a few attractive features that ensure a relaxing and rejuvenating massage experience for the user. It has an S-track design and heated quad rollers with 3D massage heads. It offers 6 massage styles, namely, Ultra Knead or “Junetsu” massage style, shiatsu, kneading, rolling, tapping. You also get 6 preset auto massage options: Refresh, Hip, Deep, Neck/Shoulder, Shiatsu and Lower Back. The model consists of 33 airbags that provide full body compression air massages. It provides calf and feet massages with separate massage rollers. Additionally, it offers a memory storage function and a 3D body scan feature. The model features heated quad rollers with 3D massage heads that go on an S-track to thoroughly massage your spinal column from the neck to your lower back region. The heated rollers tap in the warmth and therapeutic energy into your body to alleviate aches and pains caused by knotted nerves and veins. It relaxes stiff muscles and helps the body to recover and regain its stamina. The air-massage feature in this model uses 33 airbags to deliver compression air massages to your shoulders, back, hands, arms, legs, and feet. This helps to instantly de-stress and refresh the body and release tension from the muscles. This is one aspect that I particularly adore. The Ultra Knead massage techniques also known as the “Junetsu” massage style provides fine and thumb-like circular motions to relax the body, improving blood circulation. The “tapping” style can be used in combination with the massage techniques. You can also save your customized massages in the memory storage slots that are featured in this model. Hand on a second! Although this model offers a few useful features and assures durable product quality. 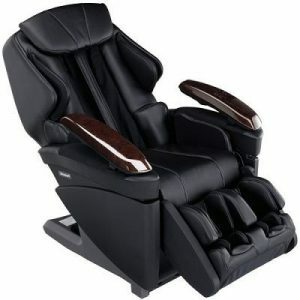 It lacks several other important attributes that you can easily get in other standard massage chairs in the same price range. In my opinion, the Infinity IT-8500 and the 8500x3 are much better alternatives for this Panasonic model. These offer way more features in almost the same price range as the EP MA70. The features of both these models have been discussed for you in the following sections. Take a look! It comes with quad rollers on an S-track design that provides thorough massages from your neck to the lower back region. This model comes with 38 airbags that deliver compression air massages to the whole of your upper body including your head, neck, shoulders, arms, legs, and feet. The zero-gravity feature in this chair achieves an even body-weight distribution, facilitating blood circulation and providing a “floating” sensation. It offers two zero-gravity seating positions. 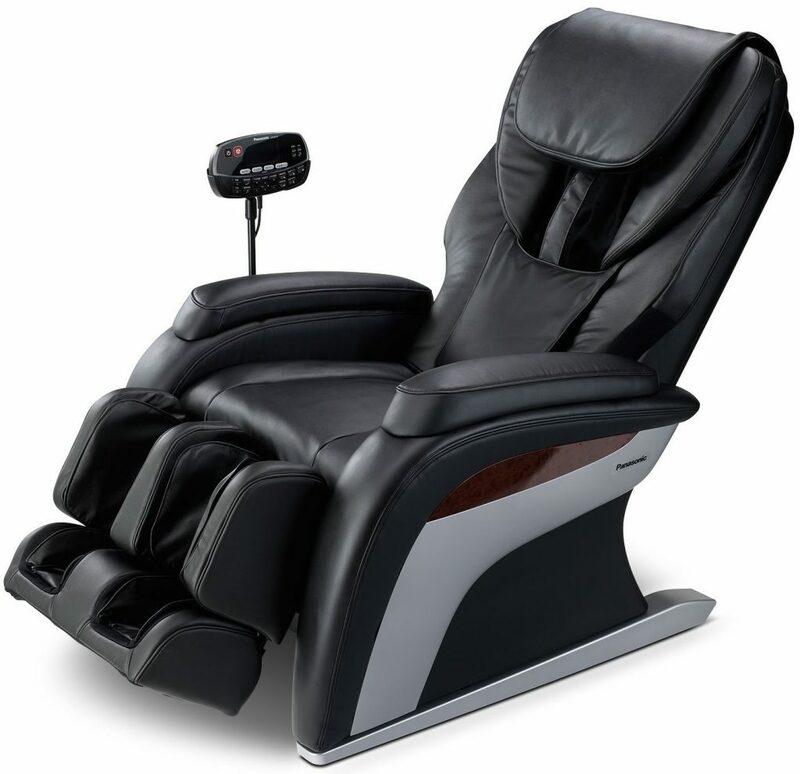 It offers 6 massage styles: Kneading, Tapping, Kneading and Tapping, Knocking (Percussion), Dual Action and Shiatsu. There are 4 auto massage programs available, namely, Recover, Refresh, Extend and Relax. This model also gives you the benefit of “spot massages” to the required area, lumbar heating and body stretch and twist features. 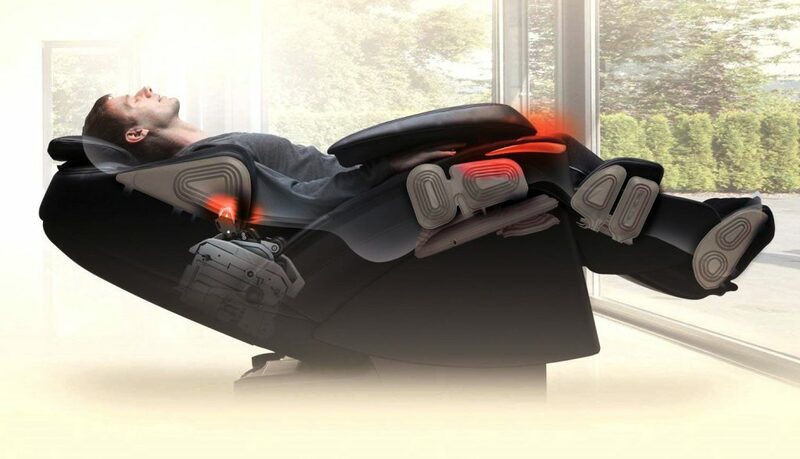 Comes with sensors located in the upper part of the chair body that alters the massage motions according to the user body type. Delivers air massages via 6 high-coverage airbags. Highly efficient 3D massage rollers that provide deep tissue massages and helps to treat chronic and acute aches and pains. My second pick would be The Panasonic EP MA10. This massage chair comes with a limited range of basic features. Although it is not the best one out there when it comes to functions, it does have a couple of features that are exclusive to the model. It comes with quad massage rollers and an S-track design. It offers 3 kinds of massage styles, namely, kneading, tapping, rolling; and 4 pre-programmed massage routines: Deep, Swedish, Neck/Shoulder, Lower back and a body stretch feature for the lower back, legs, and hips. This model offers two other massage routines for the neck, that are: Neck Knead and Neck Shiatsu. It has fourteen airbags that provide you compression air massages. The calf and foot massages are delivered by foot rollers and airbags in the calf region. The model offers the benefits of quad massage rollers on an S-track that goes down from your neck to the glutes and delivers vigorous massages to the spinal column and lower back region. 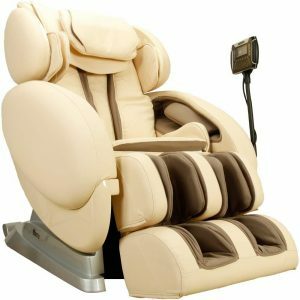 The chair provides deep tissue and shiatsu massages and also numerous combinations for you to customize according to your requirements. You also get a stretching feature that alleviates joint aches in your legs, hips and lower back. This aspect may not be the most talked about, but I love it. This model also offers the knead and shiatsu massage styles for your neck. It helps to cure aches and stiffness in the neck. These neck and shoulder massages also help to prevent ailment like cervical spondylosis, fibromyalgia, and other spine-related issues by activating the pressure points on the back, spine, and neck. Ideal for people with chronic pain in the neck or shoulders. This is an excellent massage chair from the Panasonic lineup, but sorely lacks many essential features that a few other models bring to the table. One of the best models in this price range would be the Kahuna LM6800 that brings a range of attractive and useful features, having a lot of health benefits to it. The zero-gravity feature in this model offers your three seating positions for the ultimate “floating in mid-space” sensation. It has 2D quad rollers that go on an L-track design to deliver vigorous massage from your neck down to your very glutes. It has a vibratory seat function and heating in the calf and lumbar region; this helps treat joint aches and energizes the body and mind. The Yoga Stretch feature in this model stretch your spinal column, the torso, and the hamstrings. 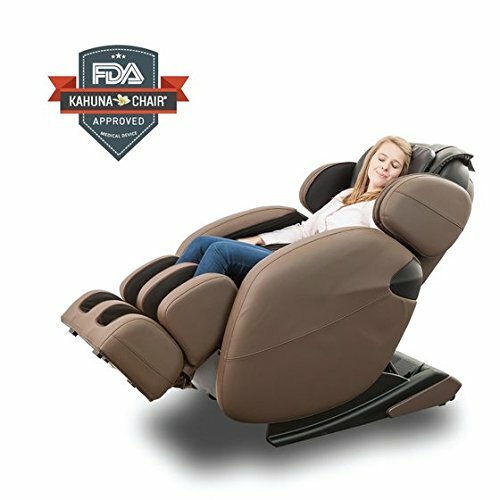 It has 36 airbags with 3 intensity levels for full body air massage, dual foot rollers for the feet, and detachable footrest for cleaning purposes. It also offers a smart body scan and employs effective noise reduction technology for a peaceful massage experience. Additionally, this model has been acknowledged as medical equipment by the FDA. It is space-efficient and a reliable product from the brand of Kahuna. Those are pretty great features if you ask me. The Panasonic EP MA73KU offers a range of attractive features for a satisfying experience and is my third favorite pick. The model focuses more on the pressure points and reflexes of the body; and is an ideal solution for chronic, acute and subacute pains. It comes equipped with heated 3D massage rollers with adjustable intensities. It provides 6 fully customizable manual modes namely, Rolling, Swedish, Kneading, Shiatsu, Tapping and Junetsu Ultra Kneading. It also has a body-stretch feature for the pelvic, back and neck areas. There are 6 preset auto massages that you get: Deep, Refresh, Shiatsu, Lower Back, Neck and Shoulder and Hip. This model also consists of airbags in the armrest which provides arm and hand massages. The airbag structure consists of 33 airbags with adjustment settings that provide full body compression air massages. Additionally, it offers a full body 3D scan, a memory storage function, foot rollers, auto recline, and adjustable armrest settings and also an extendable ottoman. The first feature that strikes out is the heated 3D massage rollers, which combine the goodness of invigorating and penetrative massages with therapeutic massage heat. The chair also consists of an extensive airbag structure that delivers compression air massages to the body. You can also get the benefit of airbags in the armrest that provides hand and arm air massages. The ultra kneads, or junetsu massage style offers thorough massages in circular motions to your back. This activates the pressure point and facilitates blood circulation everywhere in the body. It greatly helps in relaxing the mind by releasing tension and stress from the blocked up muscle. The air massages provided by the 33 airbags reduces hypertension and stress. Combined with the different auto massages, it helps prepare the body for sleep and soothes the mind. The body-stretch feature helps soothe stiff muscles and joints in your neck, pelvic and lower back region. You can also store your customized massage combinations in the memory storage feature in the chair. The EP MA73KU offers a nice range of features, offering energizing massages with adjustable intensity levels. Model is priced quite high, especially for the quality, it offers. And that is not just my opinion. To me, the Luraco makes for a way better alternative when it comes to massage chairs in this price range. You get a lot more features and benefits than this Panasonic model could offer. Here are some of its top features. It offers you a natural S-track design with 3D rollers and customizable intensities. The zero-gravity feature offers 3 seating positions; it facilitates blood and lymphatic fluid circulation and increases lung capacity. It provides several massage combinations such as tapping, kneading, kneading and tapping, Swedish and full Shiatsu styles for deep tissue massages. It allows you the benefit of spot massages for your shoulders, head, neck, upper and lower back, and feet. 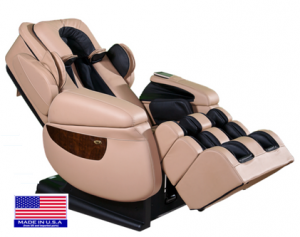 The model offers you 9 preset auto massage programs with extensive heat facilities in the lumbar, seat and calves and an elaborate airbag structure. 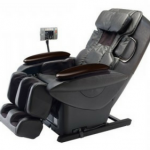 The memory function in this chair allows you to store up to 5 customized massage styles. Additionally, it offers you a full body scan, built-in mp3 support, body stretch feature, heart rate, and blood pressure monitoring. This chair offers kneading massages for the upper body area. It offers a reclining angle between 120 degrees and 170 degrees. This chair provides efficient foot massages and a comfortable fit for taller height ranges. However, the feature quotient is very low for this model, and it can be replaced with stronger alternatives from other brands. 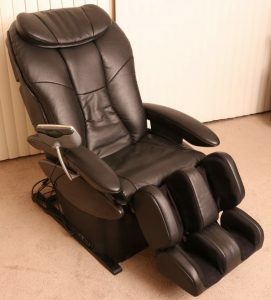 This model offers 5 preset programs and 8 manual operations that include massage techniques and styles like Shiatsu, Swedish, Deep Tissue and Ultra Junetsu massages. It consists of 36 airbags and a memory function to store customizable massages. 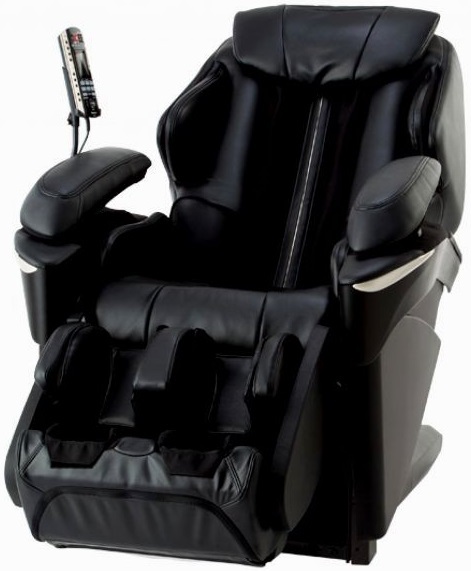 The EP1285KL offers you the basic massage features such as kneading, tapping, Swedish and Shiatsu. 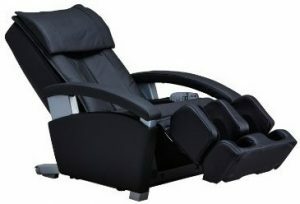 It has a comfortable design as well as wide-angle recline of up to 170 degrees. It also provides airbag massages for your legs and feet and a stretch feature for the body. This model comes with heated 3D ceramic rollers for massaging your back, shoulders, and neck. It provides a few ordinary massages and stretch features for the hands, lower body, legs, thighs, and feet. It also provides separate rollers for the feet, that are attached to the hideaway ottoman. Even though these Panasonic models offer good quality and design, they do not present any innovative or updated feature that you get in other brands. 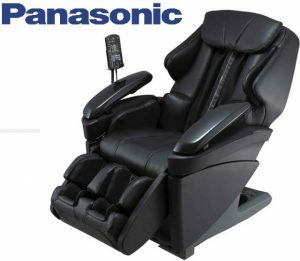 Although Panasonic is a good massage chair brand and offers durability and quality in its massage chair lineup, it doesn’t quite match up to its contemporaries when it comes to features. others such as the Infinity, Kahuna or Luraco models that offer way more and better attributes in their lineups.